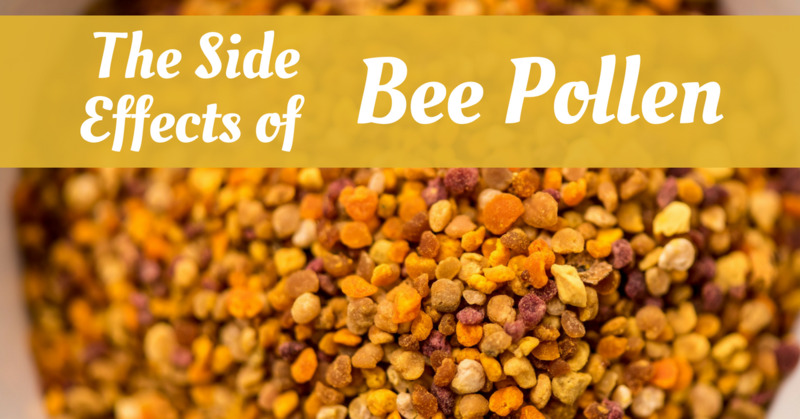 Although it is a healthy, high anti-oxidant food, it is still important to talk about the potential side effects of bee pollen. Some people are sensitive to the pollens within bee pollen and can develop an allergic reaction. This can happen if you take too much bee pollen to soon or increase your intake too quickly. As a result, it is important to begin with very small amounts and to increase your intake gradually. Some of us have developed immune systems that are sensitive to any foreign substance and react when exposed to harmless substances like pollen. Any foreign new substance entering the blood stream is considered an invader and the immune system is sent in to investigate and defend. In the case of an overly sensitive immune system, the body mistakenly judges a harmless substance to be dangerous and an allergic reaction occurs. In a healthy body, we make immunoglobins to protect us so that the next time the same substance comes enters your system you won’t be as sensitive. It is the people who's immune systems overreact that tend to experience the side effects of bee pollen. Remember, for best results, bee pollen is taken gradually at first and if tolerated well can be increased up to 1 TBSP per day or more. To find out if you are sensitive to bee pollen, first take one kernel and place it under your tongue. Leave the pollen particle there until it is absorbed completely into the mucous membrane. 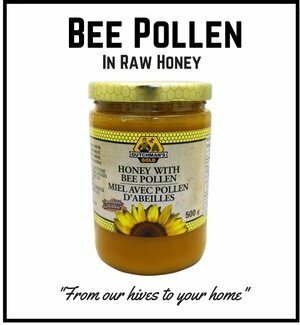 The components of the bee pollen will go directly into your blood stream. This will rule out hypersensitivity and the side effects of bee pollen. I can't stress enough how important it is to start out with this protocol of beginning with one granule and working up from there. Below is a testimonial from Stephanie W., a 36 year old healthy female who began by taking too much. She ended up in the Emergency Room because she took too much bee pollen too soon. 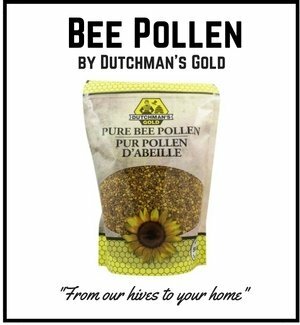 "I purchased the bee pollen in hopes it would help me improve my general health as well as aid in healing of a post surgical wound. I took about a quarter of a teaspoon on day one, a half a teaspoon on day 2 and approximately a teaspoon on day three. A few minutes after I took the pollen on the 3rd day I began sneezing and my eyes were watering and burning. I began to feel flush. I got up from my desk to look at myself in the mirror and was bright red. I walked to the front of the office to tell the my assistant that I was going to take a walk to the ER because I thought I was having an allergic reaction. Fortunately I work in a hospital because as I began to walk I felt my tongue, throat & lips swelling. In the 2 mins that it took me to briskly walk there my entire face, mouth & eyes were swelled. My breathing was tight, voice had changed, I had hives in addition to all the swelling and itching and I was scared for my life. I was immediately given a shot of epi and cortico-seteroids to take down the swelling, which did work. I just wanted to make you aware so that you can pass this caution on to your consumers. I am a 36 year old female who has never been allergic to anything and I had an anaphylactic reaction that could have potentially killed me had I been at home (I live in a rural area). I'm not angry that this happened I just want others to be educated on the possible risks as well as the extrodinary benefits." Any of the above reactions are likely transitory. We call this a “healing crisis.” Bee Pollen may be bringing your body into adjustment faster than your immune system can comfortably tolerate. Eventually these symptoms can disappear and your immune system may be stronger because of it! Here is an example of an email I received from a gentleman who took to much pollen too fast. While extremely rare, those who are sensitive to pollen need to be careful and start out with very small amounts or else end up in a situation like the gentleman below. 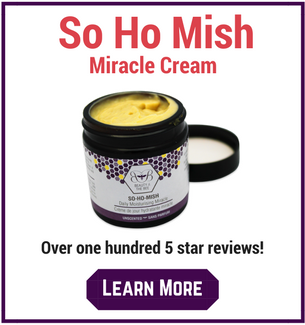 "I started taking bee pollen and got a serious allergic reaction. At first I started with a couple granules and it didn't bother me. Then next day I took a teaspoon and all was well. Last night I experienced an adverse reaction after having a tablespoon and had to go to the emergeny room. This happened after about the fourth day of taking it. At first it started with stomach pain then hives, nasal congestion, rashes, and fast heart rate and swelling to the face." Obviously, if you experience symptoms like the gentleman described above, stop immediately. 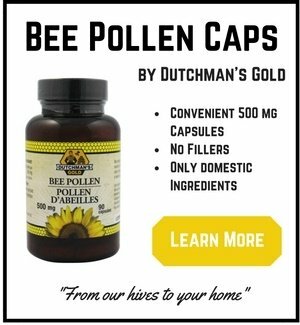 If you feel that you cannot tolerate the symptoms or reactions you are getting from bee pollen, by all means stop! This signals that you should either not eat bee pollen or your present immune system and state of health are unable to adapt. (However, some people PUSH FORWARD with these symptoms knowing that they are working to improve their immune system and igniting it will bring on possible undesirable symptoms) My husband is a classic case of this. If you find that the beginning sensitivity symptoms are manageable or if you find no sensitivity, then try 2 granules, then 3 and so on. Keep increasing the number of grains until you feel that there is no sensitivity present to bee pollen in your immune system. Or work through the symptoms you have slowly. What will happen is that you will normalize the metabolic activity of the substance (pollen granule) which will eventually assist you in restoring your body chemistry if you can stand the beginning sensitivity symptoms. Eventually your beginning symptoms will disappear and not come back again. This decision has to be made by your own evaluation or even better, through the advice of a naturopathic doctor. 3. Start taking it in the winter or non-allergy season when other pollens are not as present in the air.